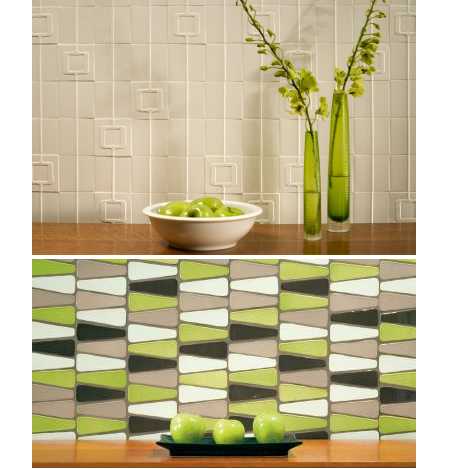 Graphics (above) is a collection of fresh decorative tiles available in many colors, sizes, and finishes. Forms (below) are pressed in earthenware tile to create a subtle relief with soft imperfect lines - they're so tactile, I just want to run my hands over these luscious beauties. 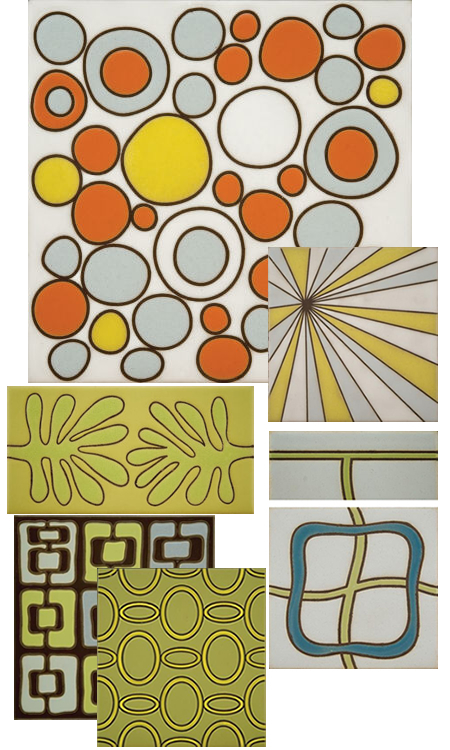 Bio: Angela Adams' designs reflect an aura of timelessness, simplicity, and balance. A native of Maine, Adams began at an early age to assemble a library of her sketches capturing the remote and harsh natural beauty of life off the coast of Maine. These renderings, based in her experiences, were thoughtfully transitioned from paper into a versatile mix of textiles, rugs, hand bags, belts, and home accessories. Tip: If you don't own a home, wouldn't it be pretty to mount some of your favorite tiles in individual wood frames and display them on your wall? Or, add felt 'feet' and use one as a trivet or to place a candle.